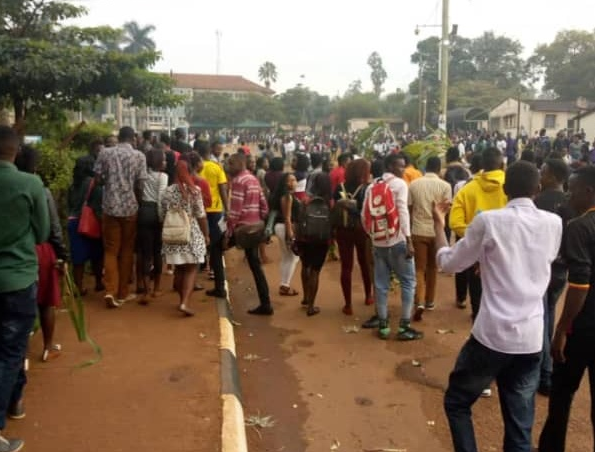 KAMPALA – A Kyambogo University student is in great pain after losing his hand in a protest against school tuition payment policy on Thursday, March 28. The new policy demands payment of tuition and other functional fees within the first 12 weeks of the Semester. Those who fail to pay will automatically be deregistered and given a dead semester. 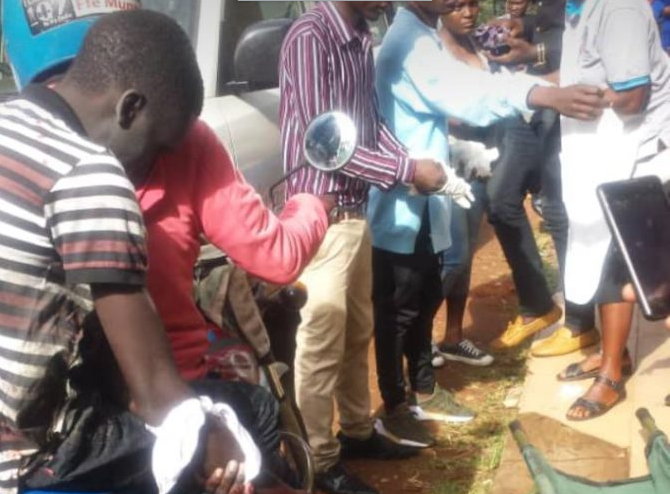 The victim, identified as Abraham, a student pursuing a Diploma in Automotive and Power Engineering lost hand after attempting to grab and throw a tear gas canister back at the police officers who were trying to quell the strike. The canister exploded in his right hand and raptured the fingers. Fellow students loaded him onto a motorcycle and took him to the Students’ medical centre for treatment. However, students have vowed not to stop until the policy is revised.